Summary: FDIC announced that it would adopt the Fed/OCC guidance on Model Risk Management. What changes will your bank need to make? Everyone is watching to see what the Fed does with rates and that seems to hinge mostly on inflation. That is why we took a closer look at the subcomponent inflation data mix recently released. 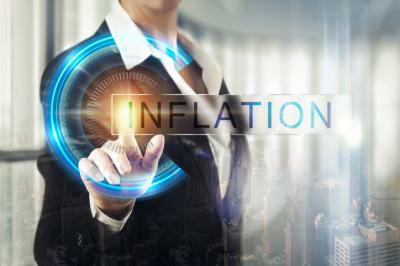 On a YoY basis, areas where inflation has jumped include: bacon (+11.8%); fuel oil (+11.7%); gasoline (+10.8%); watches (+8.3%); motor vehicle insurance (+8.2%); lettuce (+7.8%); cigarettes (+7.7%); delivery services (+6.5%); cable, satellite TV (+6.2%) and moving, storage, freight expense (+5.9%). Perhaps equally interesting, the biggest YoY declines came in televisions (-10.3%); toys (-8.0%); other household furnishings (-7.2%); other recreational goods (-6.5%) and video/audio products (-5.9%). Things are also moving around in banking. Earlier this year the FDIC announced that it would adopt the 2011 Fed/OCC guidance on model risk management (MRM). MRM sets expectations for managing model risk via three lines of defense. All banks with assets >$1B or have models that are "significant, complex, or poses elevated risk to the institution" are included. MRM is a process that requires effectively challenging models through validation, strong governance, internal audits, and clear internal policies and documentation. It also requires incorporating third-party vendor models into a bank's overall risk management plan. Furthermore, it suggests that banks should watch for the possibility that model use could increase compliance or fair lending risks. Compliance requires different levels of response from different banks, at least for now. According to the guidance, a bank's MRM frameworks and activities should align with its risk exposures, business activities, and the extent and complexity of its model use. Ultimately, all banks with assets over $1B will likely need to have or develop appropriate model risk management frameworks. Start by reviewing any MRM frameworks and practices that are already in place. Evaluate these against the guidance and make changes where necessary. Be sure to build risk-based remediation plans that bridge any gaps. If your bank is subject to MRM guidance and you don't have a model risk management program already in place, you'll need to create one. Designate someone who will be responsible for model risk management, and spend some time ensuring that this person and others who work on the MRM project understand the concept. They should also understand the regulatory definition of a model and how to distinguish models from other analytical tools. You will also need to create and maintain a comprehensive model inventory. Develop your MRM documents to include a policy and procedures for development, validation and inventory. Develop tools to support your MRM framework. These should include a tool for model-risk ranking and templates for validation documents and development. Bring any existing models into compliance with the guidance by fixing gaps in documentation and validation. Finally, expect that all this will take time. Banks are most likely to succeed when they take a thoughtful, staged approach to developing an effective and appropriate MRM program. Doing so will enhance your bank's overall risk management and make any models your team uses a more structured element of your management and decision-making processes. Yields jumped 4bp on news that Senator McCain supports the tax plan, bringing it one step closer to a reality. 1) Independent Bank ($8.9B, TX) will acquire Integrity Bank ($805mm, TX) for about $164.3mm in cash (19%) and stock (81%). The Wall Street Journal reports employees of Wells Fargo say the bank overcharged customers for foreign exchange services, leading regulators to tag it a repeat offender as they weigh a formal enforcement action. Wells Fargo said it will discontinue its personal insurance business in Q1 2018, after a strategic assessment of the business. Fed Chair Yellen said the economy has strengthened further in 2017 as GDP sits above 3%, the expansion is increasingly broad based, 17mm more people are employed vs. 8Ys ago, and the unemployment rate has declined almost 13% since the end of last year. In short, she downplayed financial risks to the economy and indicated financial sector vulnerabilities are moderate and banks were well capitalized with credit growth contained.